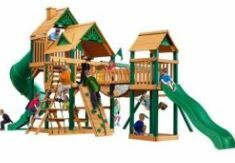 Many thanks for taking the time to visit and welcome to this Gorilla Playsets Treasure Trove Review which will outline all the main points both good and bad that you need to be aware of before you buy. Several images are also outlined below along with the key main features that it has to offer both you and your children. 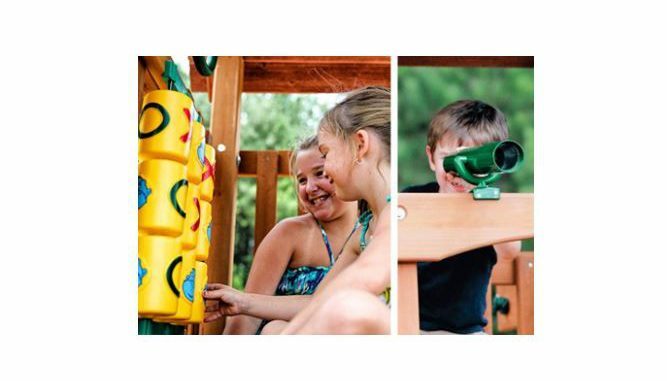 Please be aware also that guide prices can only be shown at the time of this Gorilla Playset set review as prices can change from month to month depending on local promotional activities so please make sure to view the price checkers provided below to ensure you have the most up to date accurate price information. In addition, we have also outlined additional price comparison options at the end of this page also that are worth checking out if you wish to explore prices elsewhere. Q. What age groups is suitable for? A. 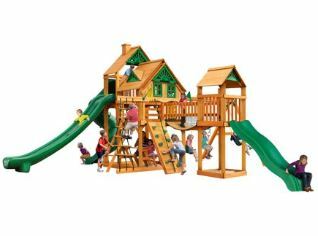 The maximum weight capacity for the Treasure Trove Playset is 800 Ibs. Q. What is the recommended Play area? Q. Can toddlers swing seat or other swing seats be added? A. Yes, you can add different toddler swing seats if needed. Q. What are the heights of the play decks? 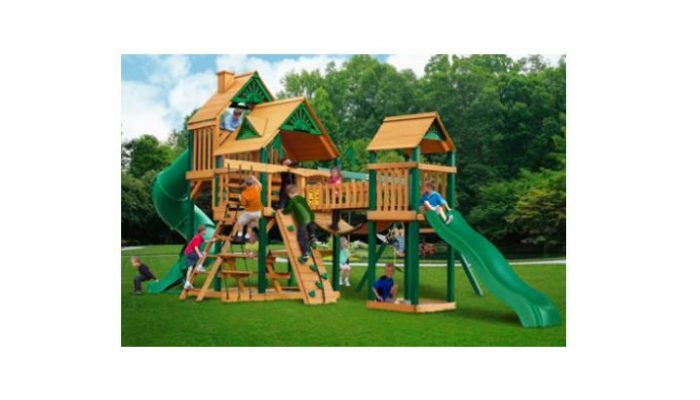 Includes the built-in sandbox area with corner seats and the assembled dimensions come in at 27.5 by 27.5 by 13 feet. In terms of prices, the cost when last seen on sale at Walmart was in the $3000 to $3500 region which of course can be double checked below. 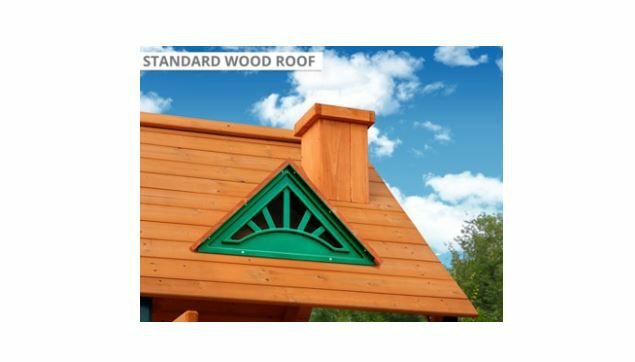 Includes all the ASTM safety standards for your children that you need. Lots of tools and equipment are needed on standby for the assembly process. You cannot assemble this by yourself – you will need a second pair of hands or even a third to help you. Can be out of stock depending the individual seller which delays delivery time – you may need to shop around quite a bit to ensure it is in stock. If you cannot assemble it yourself, you will need to hire someone to do it which is an added expense. 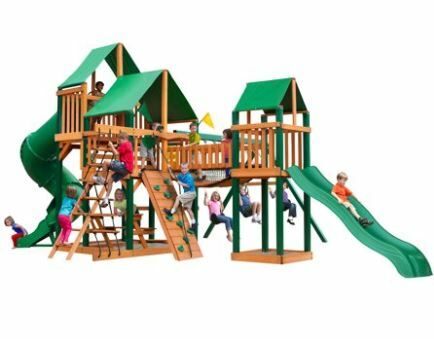 Have you or your kids any personal experience with Gorilla Playsets or Swing Sets in the past? If so, then please share your thoughts and feedback with the wider community by leaving a comment in the comment section below – So that they can learn also!!! 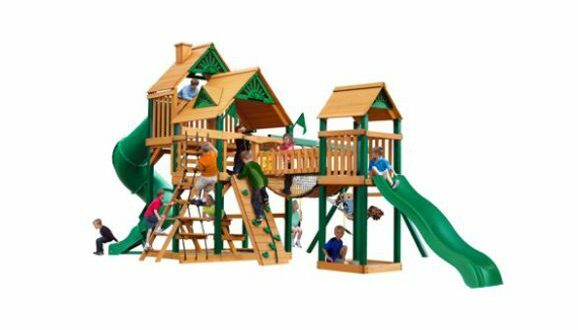 Posted in Swing Set Reviews and tagged Gorilla Playset Treasure Trove, Gorilla Playsets Treasure Trove, Gorilla Playsets Treasure Trove review, Gorilla Swing set Treasure Trove, Gorilla Treasure Trove Playsets, Treasure Trove Gorilla Playset, Treasure Trove Playset. 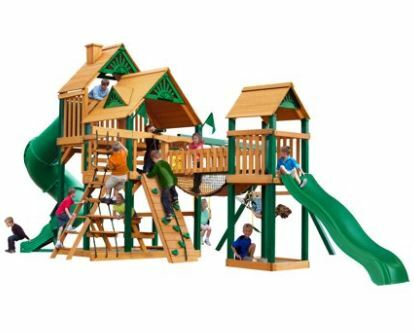 I was looking at other swing sets on this site and came across this Gorilla Playsets also called the Treasure Trove, wow, this is simply awesome and has a very high price tag to match it! 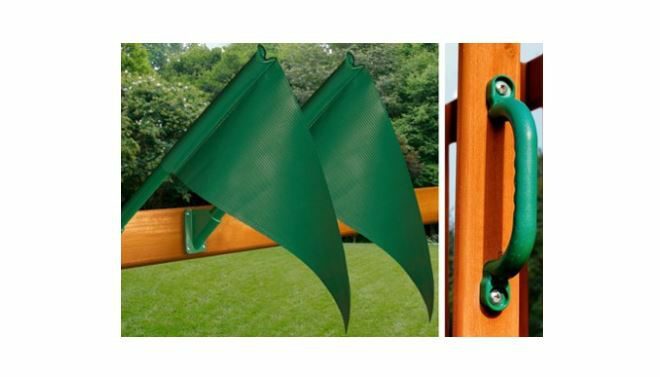 According to your review it seems like a very safe and harm free swing set that one could have around the house. Great review to have so much information available about it, not sure if we can afford it just yet, hopefully in the months ahead!